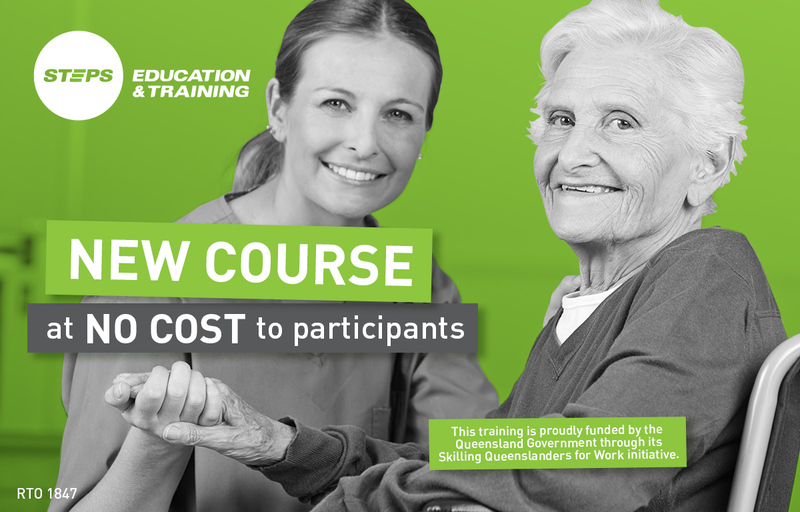 26feb(feb 26)9:30 amNew Sunshine Coast based course in CareJoin one of Australia’s fastest growing industries. New course available at no cost to participants. BreastScreen Queensland provides a free, high quality breast cancer screening service at Caloundra, Maroochydore, Nambour & Noosaville. Appointments are available from 7:15am every Tuesday and Thursday at all sites. BreastScreen Queensland provides a free, high quality breast cancer screening service at Caloundra, Maroochydore, Nambour & Noosaville. Appointments are available from 7:15am every Tuesday and Thursday at all sites. 90% of women diagnosed with breast cancer do not have a family history of this disease so it is important that all women aged 50 – 74 have a breast screen every 2 years. To make an appointment call 13 20 50 or visit the BreastScreen website. Doctors referrals are not required for this free service. 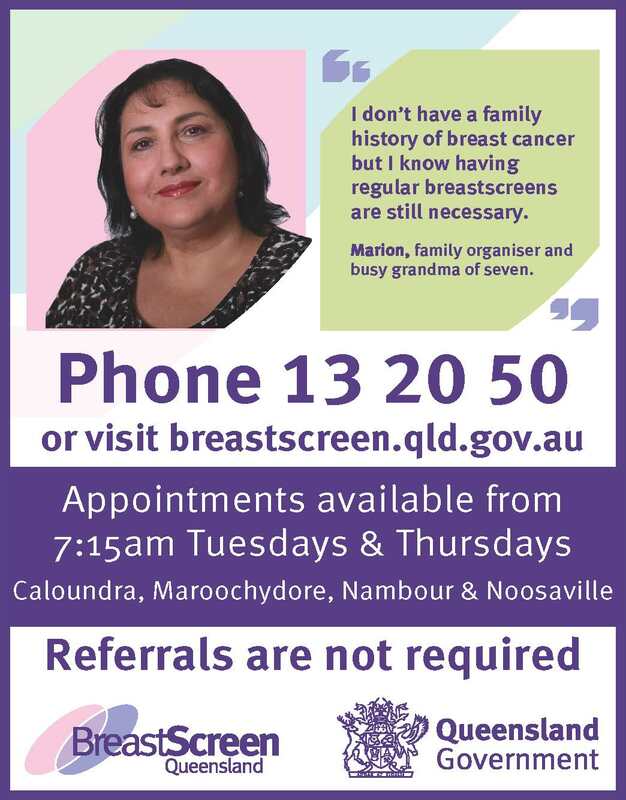 BreastScreen Queensland is providing free breast cancer screening at the Maleny Hospital from 24 April to 17 May 2019. Appointments take less than thirty minutes and are available from 7:30am. A Hitchcock farce produced by the BATS Theatre Company in Buderim. 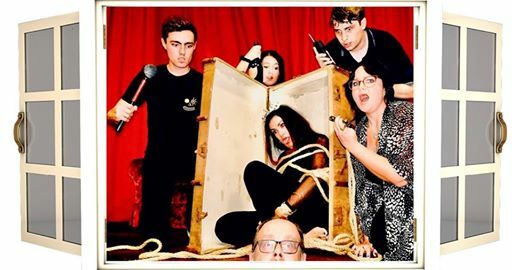 Come and have a whale of a time as our talented cast shock and entertain you! Huge range of preloved model railway equipment, rolling stock etc for sale. 2 model layouts operating with one set up for children to operate. Light refreshments available. UNITING CHURCH, QUEEN STREET, CALOUNDRA 4551. 27aprallday28alldayDiscovery ExpoEnjoy a jam-packed program of live platform shows seminars, workshops across the entire weekend! Immerse yourself in a world of metaphysics, spirituality, personal growth, and holistic therapies. 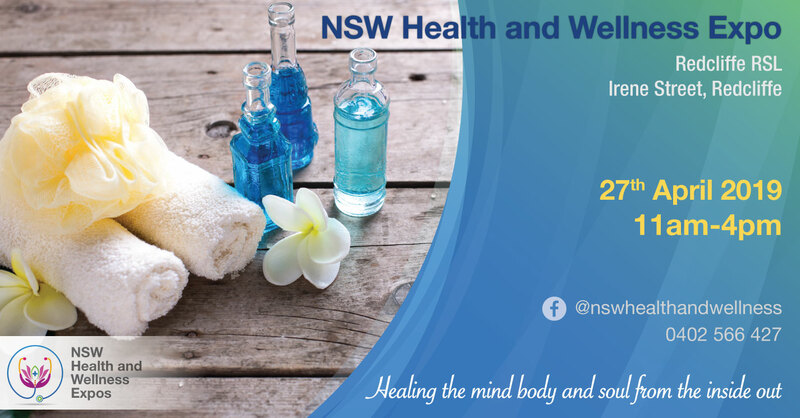 Shop for conscious and healthy products and services, learn to meditate and be more mindful, bliss out with sacred sound sessions, indulge in healthy organic food, and seek guidance from some of Australia’s most talented mediums, psychics and intuitives. Passes are only $10 / day or $15 / weekend pass. Discovery is amazing value, once you are through the gate all program activities are free. The event features many acclaimed psychic readers, self-development gurus, wellbeing experts, alternative therapists and holistic healers. Enjoy a jam-packed program of live platform shows, seminars, workshops, meditations and sacred sound musicians across the entire weekend. Indulge yourself with organic and healthy food, coffee and juices. With over 80 exhibitor stalls you can shop til you drop or simply sample the latest and greatest in body-mind-spirit products and services. Discovery guarantees inspiration, self-discovery and guidance. Don’t miss this unique opportunity to get in touch with your intuition, investigate the mysteries of metaphysics, and find balance for body, mind and spirit. 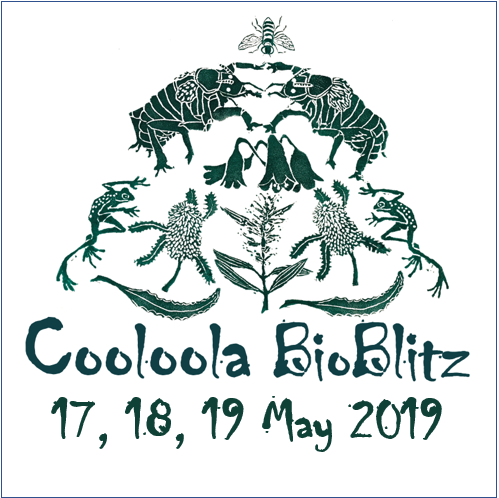 Discovery will be held on Sat & Sun 27/28 April 2019 9.30am-4.30pm in the heart of the Sunshine Coast at Venue114 (Lake Kawana Community Centre), Bokarina. Discovery is amazing value, once you are through the gate all program activities are free. 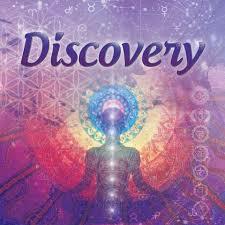 Discovery features many acclaimed psychic readers, self-development gurus, wellbeing experts, alternative therapists and holistic healers. Indulge yourself with organic and healthy food, coffee and juices. With over 80 exhibitor stalls you can shop til you drop or simply sample the latest and greatest in body-mind-spirit products and services. Discovery guarantees inspiration, self-discovery and guidance. I have attended many expos in my time and I decided we needed something a little different. A broader topic, more variety, more modalities and more products on offer that suit our current lifestyle. Let’s be honest life is not a one size fits all. One supplement or oil might help you but it doesn’t help your friend. We all need choices. Have you ever stopped to thing why so many people are sick today? Did you know that 80% of our supermarket is full of sugar and refined carbohydrates. That is a scary thought isn’t it. Sugar and carbs create inflammation in the body. Inflammation feeds disease. The doctor prescribes meds, those meds create more symptoms, the doctor gives you more meds and the system repeats itself. These expos will bring together different businesses that may assist you with your mental, physical, spiritual, financial or pet health. It really is a broad topic. The sky is the limit. Businesses are getting creative. Let’s see what is on offer in 2019. 27apr1:30 pm6:00 pmRights of Nature workshop at Sunshine Coast UniversityLearn about how to protect our precious environment. 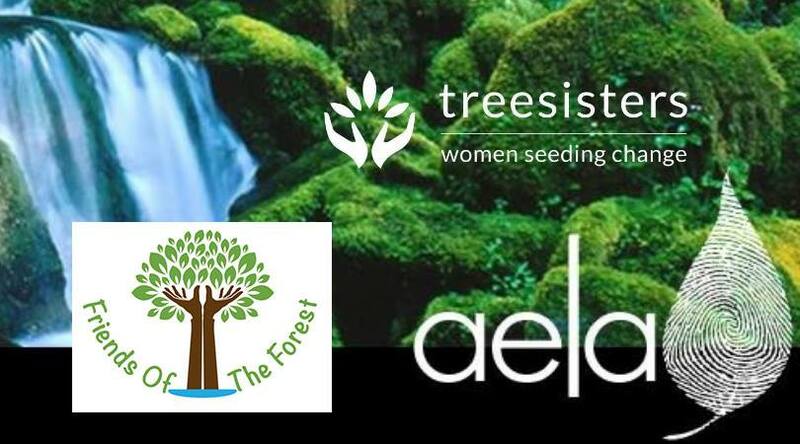 Friends of the Forest and TreeSisters are thrilled to bring you this introduction to the Rights of Nature. Join the dynamic Dr Michelle Maloney from the Australian Earth Laws Alliance for a lively, interactive introduction to global Rights of Nature legislation and what it means for our precious planet. You’ll learn all about what the Rights of Nature movement is, and how this legal structure can be applied to protect our local environment. Cost: By Donation on registration – please ensure you add a donation at checkout. This is not a free event. The Sunshine Coast has experienced massive development in recent times that is having a huge impact on our green spaces, our wildlife and our quality of life. Rights of Nature offers us the possibility of a framework that can protect the places we love dearly and all that live in them (such as the Maroochy river mouth, the unspoilt beach at Yaroomba, the forests in our hinterland etc). Come and find out what’s possible! Cost: By Donation on registration. We suggest a minimum donation of $10. Please feel free to offer more if you can, to support AELA’s amazing work. Your donation will be gifted to AELA after the workshop. The Australian Earth Laws Alliance (AELA) is a completely independent not for profit organisation. 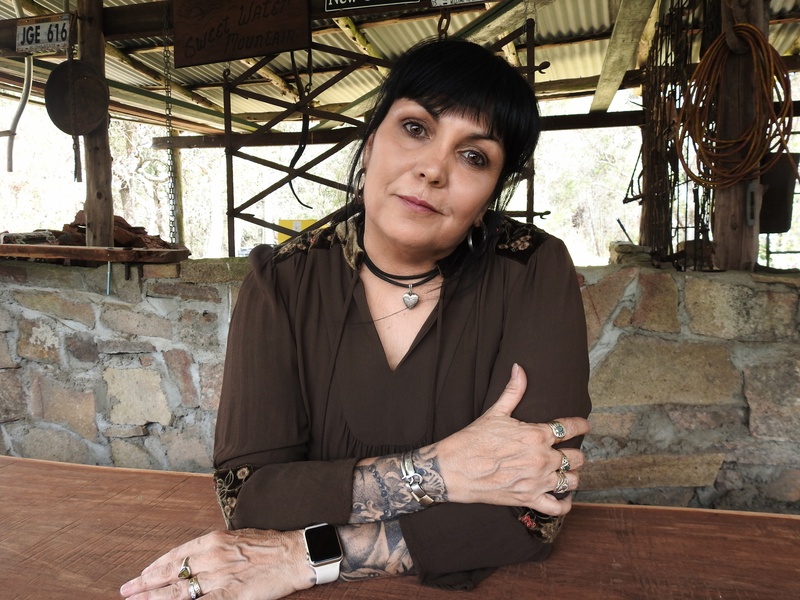 Dr Michelle Maloney is very kindly gifting her time and wisdom to help us understand Rights of Nature and how this fascinating legal umbrella can effect real change in our relationship and treatment of Nature, as well as protect our local environment. We are really thrilled to be bringing this to you. Michelle is a great speaker, very knowledgeable and wonderful at making the law fascinating! Registrations are limited. Be sure to secure your place now. Early Bird registration ends Feb 15th. 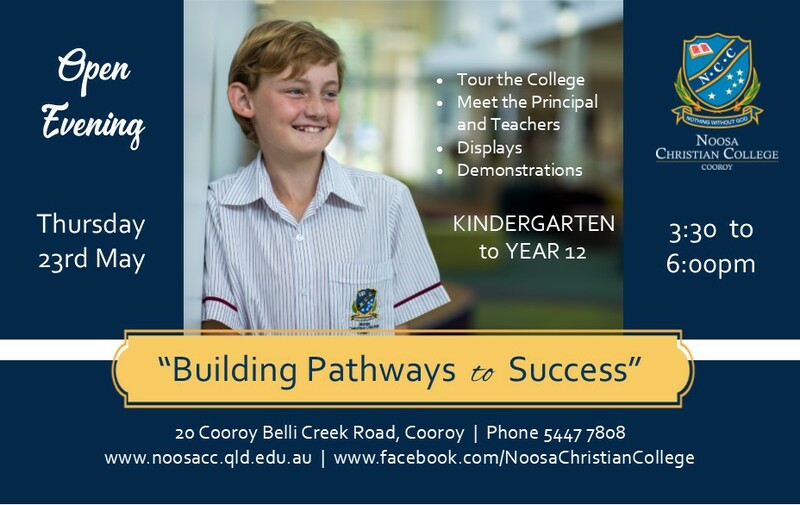 For Juniors aged 11 – 17yrs. Boys & girls mixed. 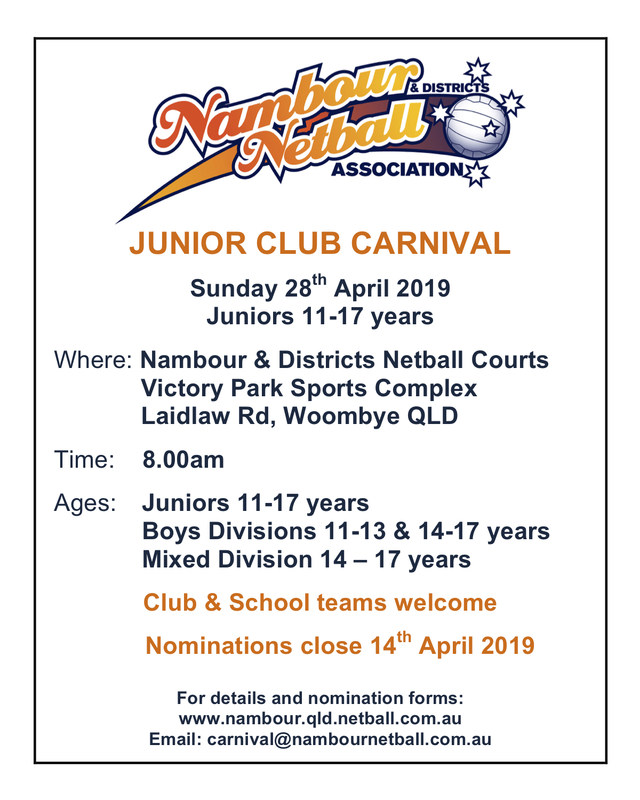 If you live in the Yandina area or surrounds and are looking to connect with others and enjoy great activities then check out CIYA. 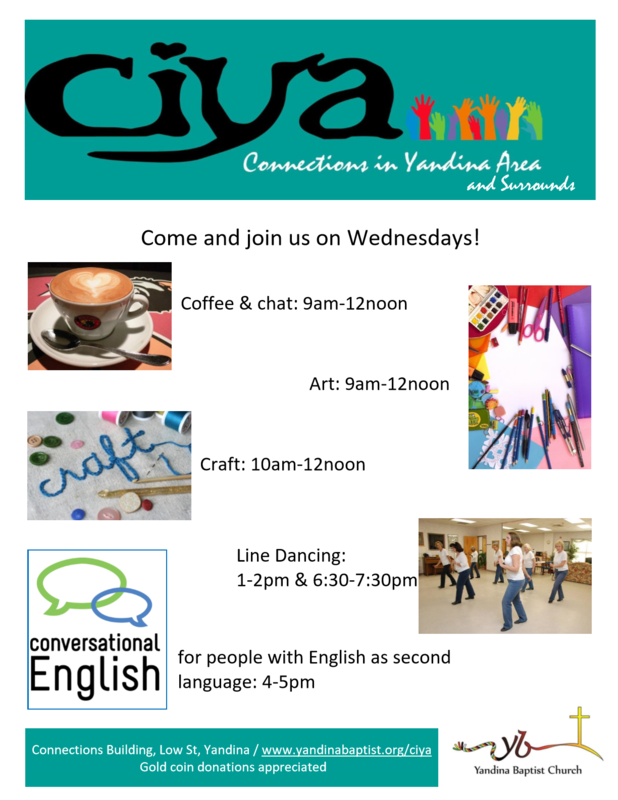 Wednesdays come alive with art, craft, line dancing & movement, and conversational English (for people with English as their second language). Held on Wednesdays at Connections in Yandina, you can join any activities and chat with new and old friends over tea, coffee and snacks. Program and details are available at www.yandinabaptist.org/ciya. Gold coin donation. 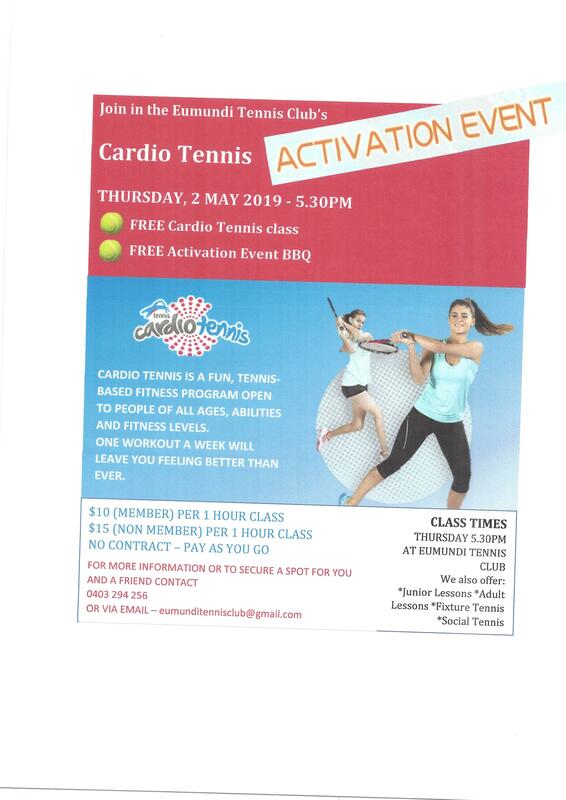 Cardio Tennis is a fun, tennis-based fitness program open to people of all ages, abilities and fitness levels. One workout a week will leave you feeling better than ever. The fair will open at 9am each day. Entry is free and EFTPOS is available. For more information please visit our Facebook page. 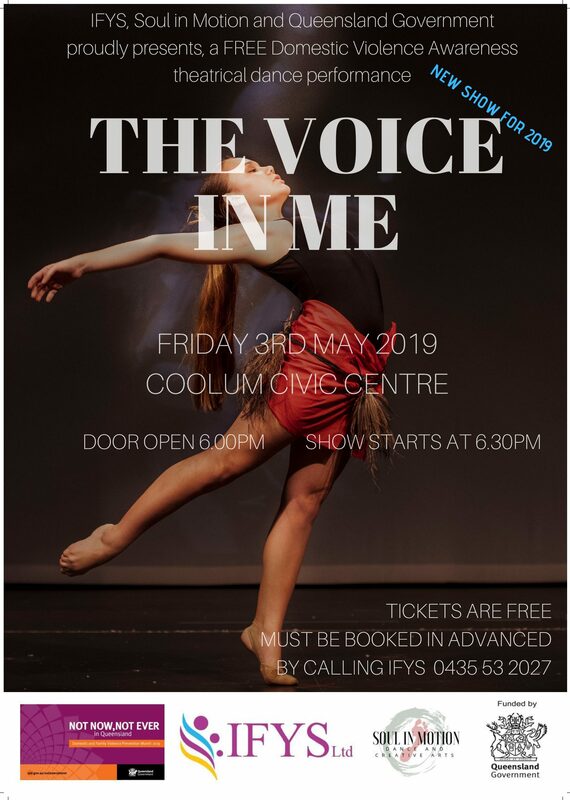 FREE theatrical dance performance aimed at raising awareness of domestic violence in conjuction with The Quensladn Government NOT NOW NOT EVER campaign. IFYS and Soul in Motion have come together to produce a night of free entertainment with dance, music and siging. Windwanderers a local sailboard club has secure a grant which is enabling us to offer a learn to sail course and a Women on Water event. The cost for each course is $50. These will be held at Surf Connect in Sandgate. Surf Connect will supply accredited coaches and equipment. 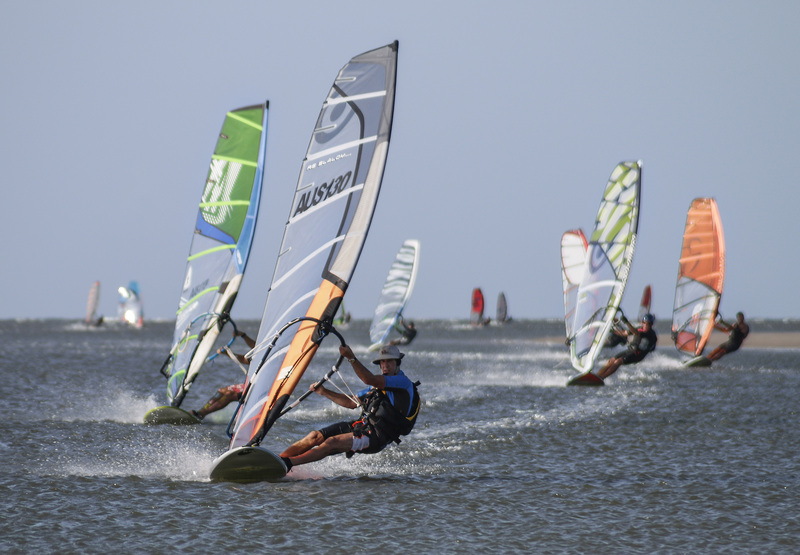 The Learn to windsurf course is on three consecutive Saturday mornings in May. The women on water event is two days with learn to windsurf lessons in the morning and social sailing the afternoon with limited coaching available. These programs have the limited availability of 12 participants in each course (16 years and above) Club members and their families registration is free. Non members the cost for the whole course is $50. The women on water social afternoons are free. 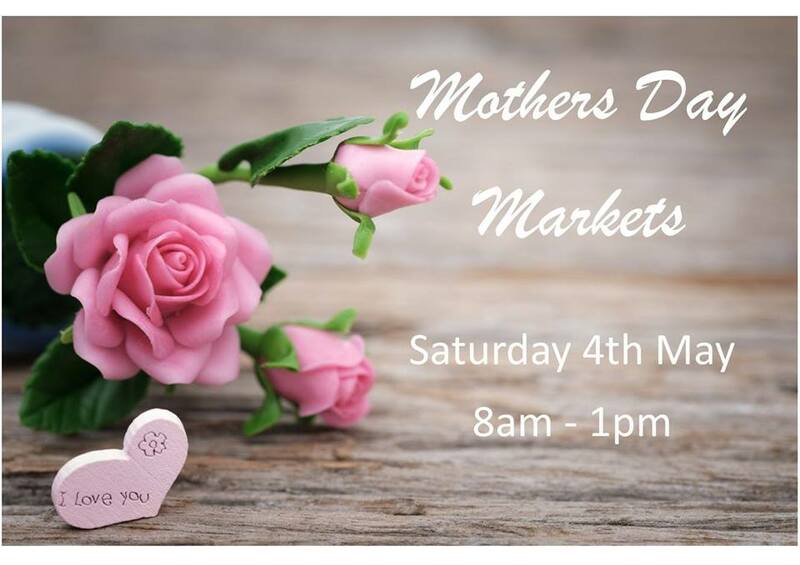 Saturday May the 4th Kingdom House Tanawha is hosting its inaugural Mother’s Day Indoor Market. Bring the Family for food, coffee and great gift ideas for Mothers Day. 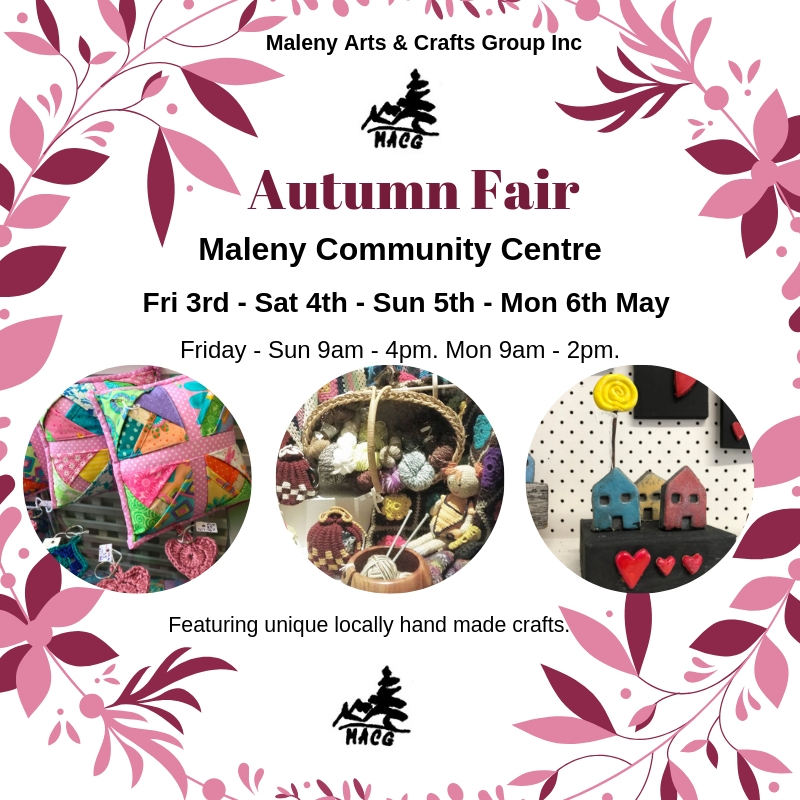 Market stalls include – Jewellery, Linen, Art, Homewares, Soaps & Candles, Decor Items, Skin Care and Nutrition. Kingdom House Tanawha is located along the Tanawha Tourist Drive, at 1 Main Creek Road Tanawha. The Sunshine Coast’s INSPIRE YOUTH FORUM is entering it’s third year. With 8 National and International quality speakers. It’s about increasing self confidence, and learning some great tools for now and the future. Win fabulous prizes like a two hour laserzone experience for yourself and 49 friends. 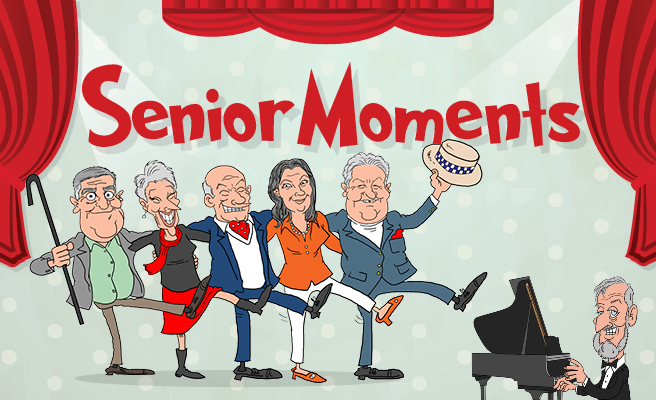 Movie tickets, ten pin bowling vouchers and lots more. More details and registration details at www.inspireyouthforum.com.au . We are also looking for mentors for the event and more prize giveaways. 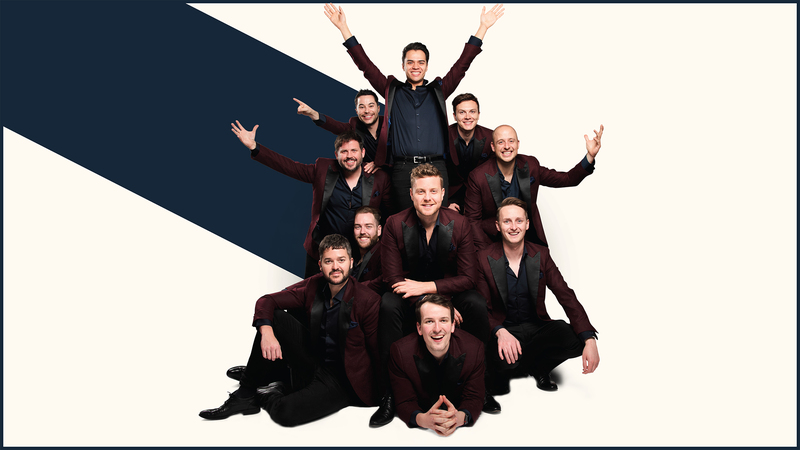 The Caloundra Chorale and Theatre Company Pleasant Sunday Afternoon Concert series kicks off on Sunday May 5th at 2pm at the CCSA Hall Nutley St Caloundra. 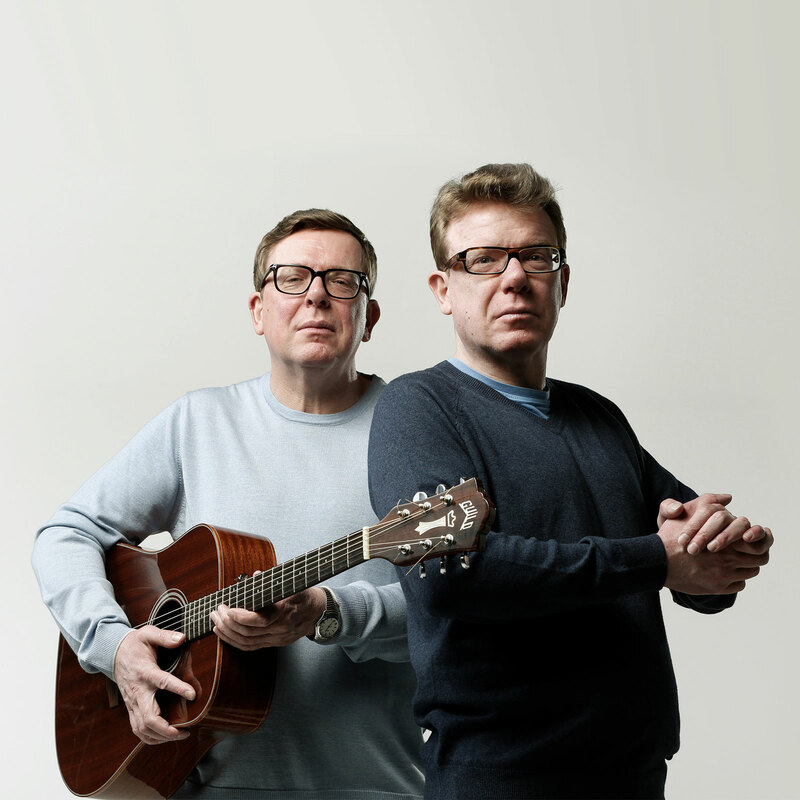 Great programme as always. We have been in our new shop for 1 year now, so we are having a fundraising Birthday party. There will be tables of clothing for $2, Sausage Sizzle and also a Jumping Castle on the day. 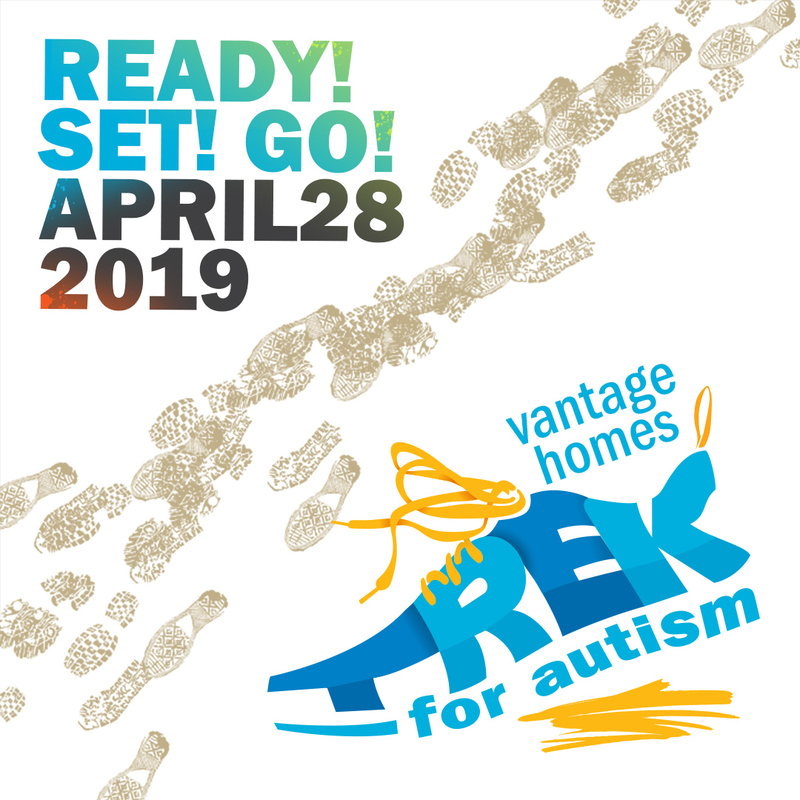 All funds raised goes towards supporting our youth programs which help at-risk youth, doing it tough and build a brighter future for themselves. It’s on again! 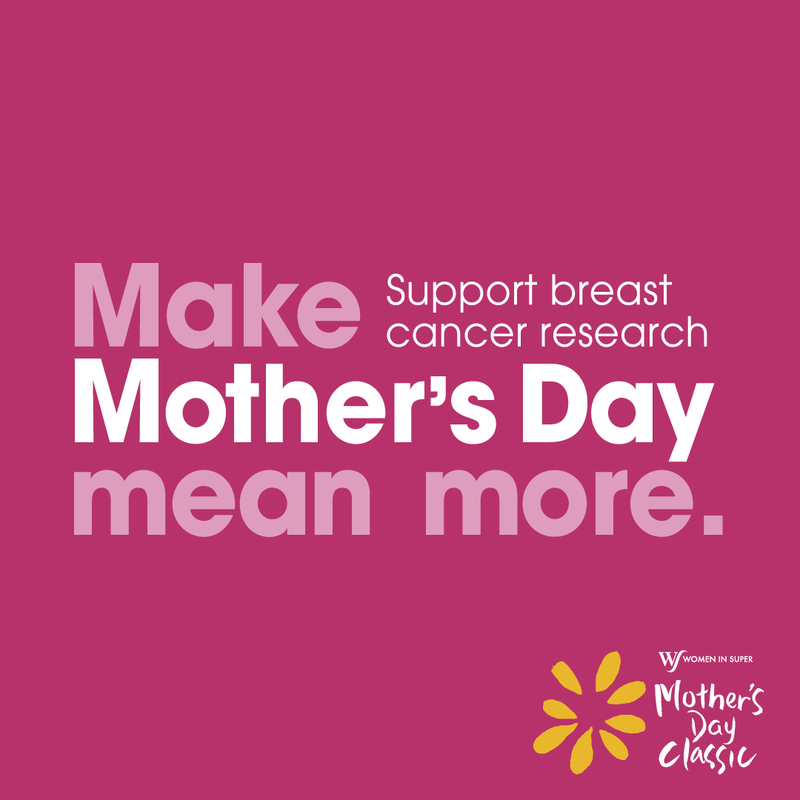 The Sunshine Coast Mother’s Day Classic 2019 is a fun run/walk that raises money for breast cancer research through The National Breast Cancer Foundation. Located at the Brightwater Sports ground, the 4 km course runs along the stunning lake at Brightwater and returns to the sports field. Entertainment and food TBA. On the day registration available via cash and eftpos. Led by experts & scientists, small groups venture into nature to find and identify every living thing. Diverse locations – Beach, bush, lakes, estuaries, sand blows, perched lakes, fens. Free evening presentations by scientists. Come for 1 day or the whole weekend. Last year 38 new species were discovered. The Sunshine Coast’s own Oriana Choir is proud to bring you this magnificent Oratorio, in collaboration with the Brisbane Symphony Orchestra. 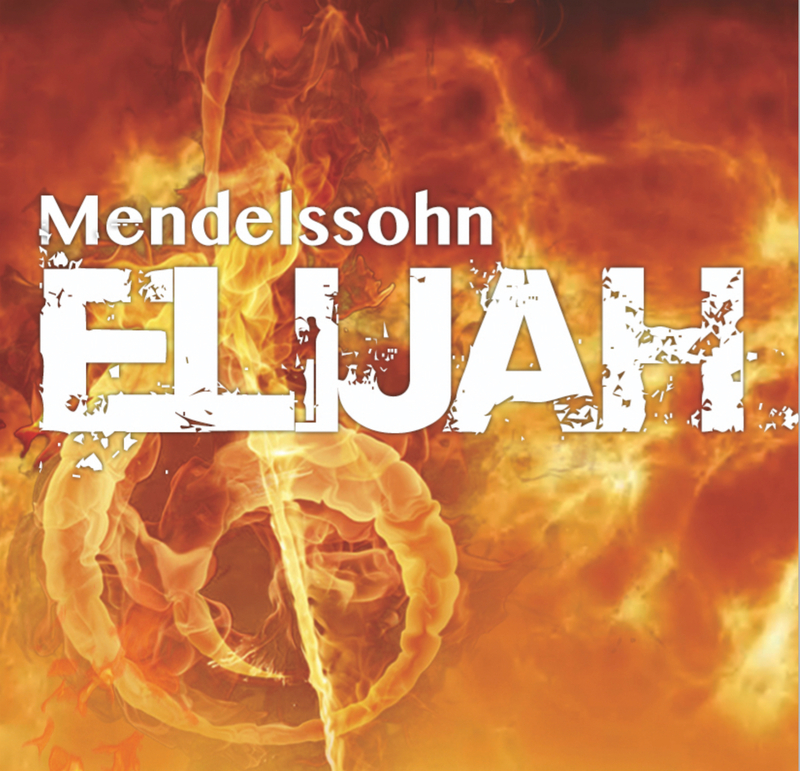 Mendelssohn’s choral and orchestral masterwork depicts events in the life of the Biblical prophet, Elijah, with lyrics based directly on the text of the Old Testament books of I and II Kings. Oriana is no stranger to performing major choral works. Past presentations include Handel’s Messiah, Mozart’s Requiem and Mass In C Minor, Faure’s Requiem and Bach’s Magnificat. Oriana has long desired to perform this very special work, and is delighted to have the opportunity to work with the B.S.O., to stage it as part of the Events Centre’s re-opening celebrations next year. We all adore songs about love. From “All You Need Is love” to “Money Can’t Buy Me Love”, “How Deep Is Your Love” to “The Look Of Love”, and that enduring classic “The Book Of Love”. These songs and many more celebrate one of the greatest feelings in the world, the glory of love, which is all around us each and every day. They’re the best reminder that love is free but can make you feel like the richest person in the world, if you open your heart.